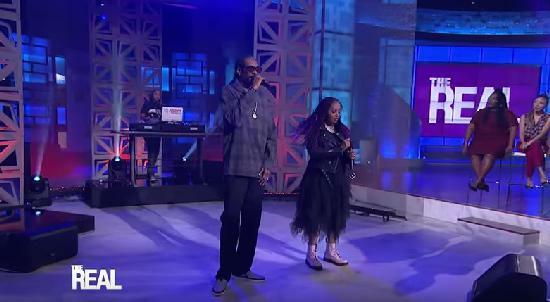 *Today, Monday, May 23rd, songstress Lalah Hathaway and rapper Snoop Dogg perform their single “Ghetto Boy” on “The Real.” Snoop drops details on his upcoming tour with Wiz Khalifa, while Lalah, daughter of soul music icon Donny Hathaway, reveals she recorded music in the same place as her famous father! Plus, the ladies share their #ManCrushMonday picks for the week. Adrienne Bailon: Now, Snoop, you’re going on tour this summer. We want to hear about it. Snoop Dogg: Me and Wiz Khalifa are going on tour called the “High Road Tour.” It takes off in July and ends in September. Loni Love: We gotta go! Click HERE to find our What station (and time) airs “The Real” in your area.